“When my sons complain that a good book is hard to read, I say, ‘Raking is easy, but all you get is leaves; digging is hard, but you might find diamonds. '” — John Piper, Future Grace, p. 16. Thousands… Not Billions, by Donald DeYoung. This is the latest on radiometric dating from the young-Earth creationists. I’ll say something positive: they have actually come a long ways from twenty years ago. They now acknowledge that we can have a pretty good idea of initial concentrations of isotopes in minerals, that we can often tell whether or not the minerals have been closed systems, that various radiometric methods often give concordant dates, and that a considerable amount of decay has occurred in minerals. But there are still a number of problems with their reasoning, the chief of which is the idea of accelerated nuclear decay during Noah’s flood. Their evidence that this has occurred is sometimes based on circular reasoning, and this decay would have created enough heat to melt and perhaps vaporize the entire Earth. Elements of Petroleum Geology, by Richard Selley. I re-read this to be better prepared for a four-hour essay test I took as part of the application process for a potential job. Plus I find sedimentary geology to be simply fascinating. 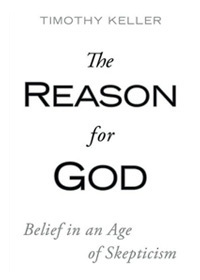 The Reason for God, by Timothy Keller. This book is fantastic. If I had a job, I’d buy a stack and give copies to doubters and skeptics. The Case for Christ, by Lee Strobel. We’re slowly going through this book as a family. 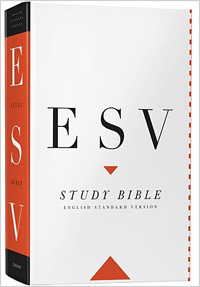 Right now we are in the chapter on New Testament manuscripts. The History of the Ancient World, by Susan Wise Bauer. This is strengthening my knowledge of the cultural and historical background of the Old Testament. One Day in the Life of Ivan Denisovich, fiction by Aleksander Solzhenitsyn. This is part four of a six-part series examining supposed evidences for a global flood that have recently appeared on the Answers in Genesis web site. The people at AiG are my brothers and sisters in Christ, and I share their love for the Lord Jesus Christ, their respect for the Bible as the Word of God, and their desire to see people come to faith in Christ. However, I view their arguments for a young Earth and geological catastrophism as unnecessary Biblically, poor apologetics, and a serious obstacle to the evangelism of scientists. Unfortunately, few people in our churches or Christian education system have the geological background to critically analyze these arguments. The result is that people read articles like these from AiG, find them to be rather impressive, and believe that these present sound arguments in defense of the Bible. The opposite, however, is true. A vast majority of Christian geologists find the arguments for a young-Earth and the geologic work of the Flood to be untenable. It is my strong opinion that the young-Earth arguments of organizations like AiG have no place in our churches and Christian education system. 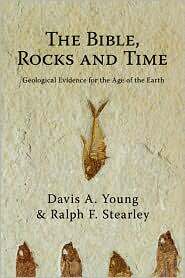 Part one examined the young-Earth creationist (YEC) argument that fossils at high elevations are proof of a global flood. Part two examined the YEC argument that sedimentary rocks that contain dense accumulations of fossils can best be described by the action of Noah’s Flood. Part three examined the YEC perception that transcontinental rock layers, such as the sandstone layer that is found at the base of the Paleozoic sediments throughout much of North America, can best be explained by Noah’s flood. “Flood evidence number four” from Answers in Genesis is called “Sand Transported Cross Country.” In this article, young-Earth creationist Dr. Andrew Snelling attempts to show that the only possible explanation for long-distance transport of sediment grains is by means of a global flood. In reality, standard geological explanations for trans-continental transport of sand grains work just fine, and there are numerous problems with the young-Earth creationist “flood geology” attempts to explain this aspect of geological history. As you read what I have to say, remember that the Bible does not say that the sedimentary rock record was deposited by Noah’s flood. This inference is dogma in young-Earth circles, but is not found in the Bible. Snelling begins by giving what I believe is an accurate description of several sandstone layers in the southwestern United States. Sand grains for the Coconino Sandstone and Supai Group in the Grand Canyon clearly came from a considerable distance. These layers are both underlain by extensive layers of shale or limestone that contain little sand, and cannot be the source rocks for the quartz sand grains. As a third example of long-distance sand grain transport, Snelling cites the Navajo Sandstone, which is younger than the layers of the Grand Canyon. The Navajo Sandstone is interpreted by most geologists to be the remains of a vast terrrestrial sand dune field, and makes up some of the spectacular cliffs and other rock formations places like Zion and Canyonlands national parks in Utah. Oh my. I read this and started shaking my head. It is not at all difficult to visualize a river system that is capable of carrying sand thousands of miles over a very long period of time. Where do the quartz and zircon grains eroded from the northern Rocky Mountains in Montana end up? In the Gulf of Mexico, thousands of kilometers away. Or think of sand grains being transported in other major river systems, such as the Nile or Amazon. These rivers are capable of transporting enormous quantities of sediments over time. The standard geological understanding of the Mississippi River system is that it has been in existence since some time in the early to mid Tertiary Period, perhaps originating during the Eocene Epoch (34-56 million years ago). It is not inconceivable that river systems flowing from the Appalachians at the time of Navajo Sandstone deposition (Triassic-Jurassic) could also have maintained their basic drainage patterns for tens of millions of years. Yes, there was a consistent direction of water flow in the center of the North American continent throughout much (though not all) of the Paleozoic Era, from the Appalachian Mountains westward over the continent. This makes a lot of sense; rivers do tend to flow from mountains to lowlands (the Appalachians had been formed by the earlier collision of the North American plate with Europe and Africa). The standard geological explanation for long-distance sediment transport, rather than being “absolutely impossible” makes a lot of sense. The problem of erosion — The volume of the Navajo Sandstone is about 40,000 cubic kilometers. In order to produce this much quartz sand, a considerably larger volume of granitic rocks would have had to have been eroded. If the sediments were eroded from the rocks of the pre-flood world, then erosion of several tens of thousands of cubic kilometers of granitic rocks would be necessary at the beginning of the flood. Even with a global flood, this is a tremendous amount of erosion of resistant rocks in a very short time. The problem of mineralogy– After erosion, some type of mineralogical sorting process would have had to occurred to separate quartz from the other components of granite, such as feldspar and mica. The Navajo Sandstone is a clean sandstone, meaning that it is composed largely of quartz grains. The zircons discussed in the article are present in low concentrations, and other minerals (feldspars, micas) have low abundances as well. Once the granitic rocks that were the source for the Navajo were eroded, some process would have had to sort out the non-quartz/zircon grains. The problem of sediment transport — If eroded from igneous rocks in the Appalachians, the flood would have had to somehow keep those sand grains together as a coherent package as they were transported across the continent. This is a major problem for young-Earth creationist flood geology. Floods tend to disperse sediments rather than keeping them together. The idea that the flood picked up 40,000 km3 of sand from the Appalachians and deposited it all together in the Southwest would be like saying that the sediments of the Yellowstone River in Montana stay together without mixing as they are transported down the Missouri and Mississippi Rivers and then get deposited all together in the same place in the Mississippi Delta. Fluvial transport of sediments simply doesn’t work that way. The problem of depositional environments — For a number of reasons, geologists interpret the Navajo Sandstone as having formed in a vast sand dune environment, similar in many ways to the modern Sahara Desert. Evidence includes types of sedimentary structures that match modern sand dune environments (dunes, ripples, and so forth) and fossil evidence (see below). The problem of body fossils — the Navajo Sandstone contains few body fossils, such as bones or shells. Most of what is found are either terrestrial (e.g. reptiles and mammal-like reptiles) or invertebrates that could be interpreted as living in fresh or brackish water environments rather than marine. There are also a few isolated examples of stromatolites, which are mound-like fossils of bacterial mats. These form in high salinity environments that are protected from browsers, such as in inter-dune saline flats (sabkhas) or protected areas along the shoreline. If the Navajo was deposited in the flood, why are there no clearly marine fossils mixed in? How did fossils like stromatolites get transported and preserved in the chaotic waters of the flood? The problem of trace fossils — Trace fossils are signs of living organisms such as footprints and burrows. Trace fossils found within the Navajo Sandstone include vertebrate footprints (what were they doing wandering around on the dry surface of the Earth half way through the flood?) and a variety of invertebrate features such as worm burrows, scorpion tracks, and spider tracks. These all indicate a terrestrial environment. The problem of current directions — The situation is more complicated than Snelling indicates in his article. Flow directions can be determined from sedimentary structures in the rocks, such as ripple marks. Paleocurrents for the Navajo Sandstone are primarily from the north. Sediments were apparently carried by streams flowing from east to west from the Appalachians to what is now the northern Rocky Mountains. Sea and wind currents then carried the Navajo sediments south along the western coast of the United States. At times in the Paleozoic and Mesozoic, North American paleocurrent patterns were much more complex than Snelling indicates. My conclusion is that the standard geological interpretation for long-distance sediment transport works, and the young-Earth flood geology interpretation doesn’t. Because it does not work, flood geology is anti-apologetics rather than apologetics. To use these sorts of arguments in defense of the Bible may bring some to faith in Christ, but it will drive others away. Up next: Flood Evidence #5: Rapid or no erosion between strata. With love for the body of Christ. 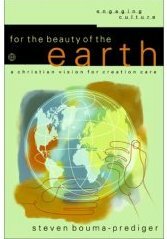 To repeat a common theme of The GeoChristian blog: One can be a committed Christian with a very high view of the Bible, and yet hold to a 4.5 billion year-old Earth and evolution. A real Adam and Eve fairly recently in history. God created the universe out of nothing. Piper’s statement specifies that there is no commitment at his church to a recent six literal day creation (e.g. 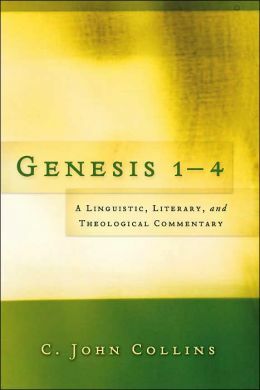 Answers in Genesis or Institute for Creation Research). There is also no statement requiring elders to not believe in evolution. Despite the vocal insistence of the young-Earth creationists, there are perfectly valid understandings of Genesis that allow for an old Earth. These interpretations are not forced on the Hebrew text, but actually flow out of the text. John Piper: What do you have to believe about creation in order to be an elder at Bethlehem? P.S. I am not saying that John Piper accepts either an old Earth or evolution, just that he doesn’t consider the age of the Earth or evolution (apparently) to be issues in terms of Christian orthodoxy. Great Sand Dunes from Pinyon Flats campground. The dunes are about 650 to 750 feet (200 to 230 m) tall. View of the Sangre de Cristo Mountains from High Dune, the second highest star dune in the dune field. The elevation at the top of the dunes is near 9000 feet (2700 m) above sea level. Sedimentary structures (ripples, dunes) of various sizes. Braided stream at the base of the dunes, about 30 m wide and less than 10 cm deep. Our tent in Pinyon Flats campground. We think the alternate name for the park is “Great Mosquito Swarms National Park,” but we couldn’t find that in the literature the rangers handed out. 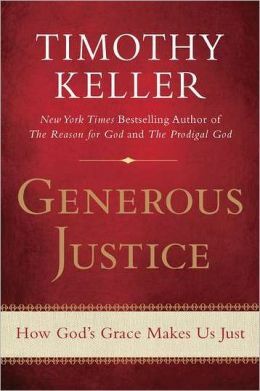 One of the best new books on apologetics (the defense of the Christian faith) is The Reason for God by Timothy Keller. I haven’t read it yet, but it has received good reviews from theologically conservative reviewers. In The Reason for God, you make a very brief argument for the validity of evolution within a limited sphere. It would seem to me that apologists for the faith must address this issue at some point. But doing so can call into question the historicity of the Fall and the very need for a savior. How do you talk about evolution without confusing people? Oh, it’s a little confusing, but actually I’m just in the same place where the Catholics are, as far as I can tell. The Catholic Church has always been able to hold on to a belief in a historical Fall—it really happened, it’s not just representative of the fact that the human race has kind of gone bad in various ways. At the same time, if you say, “There is no God and everything happened by evolution,” naturalistic evolution—then you have “theistic evolution”: God just started things years ago and everything has come into being through the process of evolution. 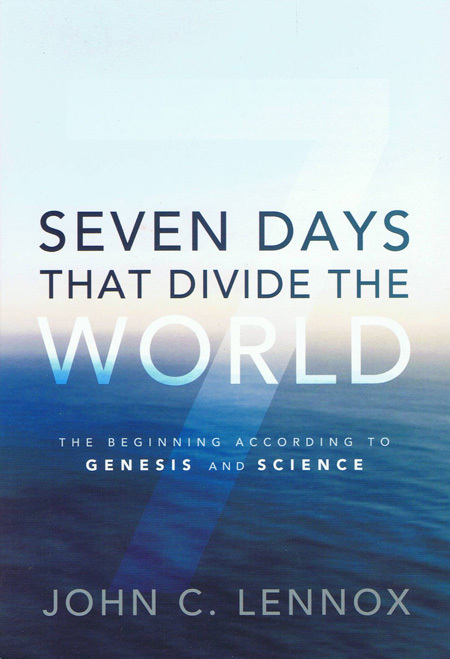 You have young-Earth six-day creationism, which is “God created everything in six 24-hour days.” To me, all three of those positions have perhaps insurmountable difficulties. The fact is, the one that most people consider the most conservative, which is the young-Earth, six-day creation, has all kinds of problems with the text, as we know. If it’s really true, then you have problems of contradictions between Genesis 1 and 2. I don’t like the JEPD theory. I don’t like the theory that these are two somewhat contradictory creation stories that some editor stuck together—some pretty stupid editor stuck together. I think therefore you’ve got a problem with how long are the days before the sun shows up in the fourth day. You have problems really reading the Bible in a straightforward way with a young-Earth, six 24-hour day theory. You’ve got some problems with the theistic evolution, because then you have to ask yourself, “Was there no Adam and Eve? Was there no Fall?” So here’s what I like—the messy approach, which is I think there was an Adam and Eve. I think there was a real Fall. I think that happened. I also think that there also was a very long process probably, you know, that the earth probably is very old, and there was some kind of process of natural selection that God guided and used, and maybe intervened in. And that’s just the messy part. I’m not a scientist. I’m not going to go beyond that. I do know that I say in the book, “This is an absolute red herring—to get mired in this before you look at the certainties of the faith. Because the fact is that real orthodox believers with a high view of Scripture are all over the map on this. I can line up ten really smart people in all those different buckets, which I’ll call “theistic evolution,” “young-Earth creationism,” and let’s call it “progressive creationism” or “semi-theistic evolution.” There are all these different views. And when you see a lot of smart people disagreeing on this stuff, well . . .
Over the years—it’s not bad, but I’ve gotten sort of hit from both sides. From NASA’s Earth Observatory: Sarychev Peak Eruption, Kuril Islands, Russia. A fortuitous orbit of the International Space Station allowed the astronauts this striking view of Sarychev Volcano (Kuril Islands, northeast of Japan) in an early stage of eruption on June 12, 2009. […] Ash from the multi-day eruption has been detected 2,407 kilometers east-southeast and 926 kilometers west-northwest of the volcano, and commercial airline flights are being diverted away from the region to minimize the danger of engine failures from ash intake. By contrast, a cloud of denser, gray ash—probably a pyroclastic flow—appears to be hugging the ground, descending from the volcano summit. The rising eruption plume casts a shadow to the northwest of the island (image top). Brown ash at a lower altitude of the atmosphere spreads out above the ground at image lower left. Low-level stratus clouds approach Matua Island from the east, wrapping around the lower slopes of the volcano. Only about 1.5 kilometers of the coastline of Matua Island (image lower center) are visible beneath the clouds and ash. I’ve got this one set as my desktop background this week. These images from the NASA Earth Observatory show areas of drought (brown = below average plant growth) and excess plant growth (green = above average plant growth). Satellite imagery like this gives governments and aid agencies a quick way to analyze conditions on the ground.